How to Make Skimmed Milk from Whole Milk at Home? Majority of the health experts recommend drinking milk regularly to get benefited from its high protein and vitamin contents. Yes! Milk is not only rich in Calcium, but also contains good amounts of protein in it. However, drinking the whole milk regularly will make you gain weight. So, if you want to enjoy the benefits of milk, but do not want to put on additional pounds, then the best thing you can do is to switch to the skimmed milk. It is nothing but the processed form of the whole milk, which is healthy but low in calories. 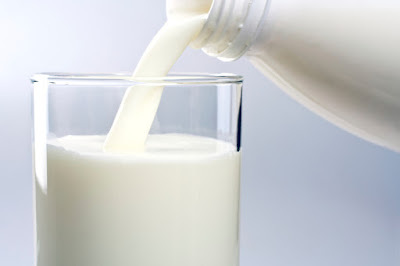 In the GM diet program, it is suggested to drink milk on the day 4 to get enough calcium and protein content. But, since the whole milk is high in calories, you may opt for the skim milk to leap better weight loss results. You can prepare a banana milkshake using this skimmed milk. It tastes good and is also good for weight loss. How to Prepare Skimmed Milk from Whole Milk at Home? Generally, the low-fat milk or the skim milk costs a little higher than the regular milk. So, if you drink the skimmed milk regularly, then it is better to prepare it at your home and save money. This process is also known as creaming. In this method, you’ll need the non-homogenized milk in order to make the skimmed milk. Once you get it, please follow the below steps carefully. Place a lid on the container with the whole milk and leave it aside for few hours. During this time, all the solid fat particles in the milk will settle down. Now, when you open the lid of the container, you’ll notice that a layer containing the cream is floating on the surface of the milk. Without shaking the container or the milk, carefully remove the cream on the top of the milk with a spoon. If you shake it, then you should repeat the whole process from the beginning. After you take out the fat/cream from the milk, the left-over milk is what you need. You can repeat this procedure multiple times to remove the fat completely from the milk. In this method, you’ll be making skimmed milk from whole milk by boiling the milk. Follow the below steps carefully. Take the milk in a hollow pan and boil for 10 to 15 minutes on a low flame. Switch off the stove and put the pan aside for cooling. Once it is cooled down, you’ll notice a layer of cream floating on the milk. Remove the cream and your milk will be free from fat. In order to make your milk completely fat-free, you can repeat this process multiple times (2-3 times). Hope, you’ve got a clear idea about how to prepare skim milk from whole milk at home. If you’re trying to lose weight, then it is highly recommended to avoid whole milk and choose only the skimmed version of the milk for better weight loss results.